ఆమె చాలా తక్కువ సంఖ్యలో వివిధ భాషా సినిమాలలో నటించింది. 1990 అంజలి చిత్ర తెలుగు డబ్బింగ్ సినిమా. 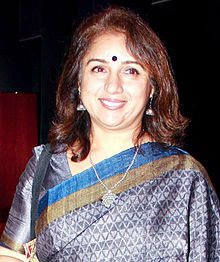 ↑ "Court grants divorce to actor Revathi". The Times of India . 23 April 2013. Retrieved 6 September 2015. ↑ "Films, a family affair!". Deccan Chronicle. 29 April 2017. ↑ "49th National Film Awards" (PDF). Directorate of Film Festivals. Retrieved 14 March 2012. ↑ "40th National Film Awards – 1993" (PDF). Directorate of Film Festivals – 1993. Retrieved 5 July 2013. ↑ Harsha Koda (www.jalakara.com). "www.revathy.com". www.revathy.com. Retrieved 12 July 2012. ↑ "59th National Film Awards for the Year 2011 Announced". Press Information Bureau (PIB), India. Retrieved 7 March 2012. ↑ "ഏകാന്തചന്ദ്രിക ഇവിടെയുണ്ട് !". manoramaonline. Retrieved 2 August 2015. Wikimedia Commons has media related to Revathi. ఈ పేజీలో చివరి మార్పు 1 మే 2018న 06:46కు జరిగింది.